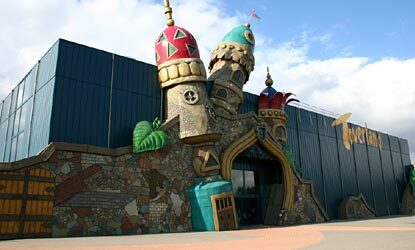 While the big amusement parks in North Rhine-Westphalia start their 2004 season with discount promotions, a small park close to the border between Germany and the Netherlands near Venlo invests 15 million Euros in a new themed area with three larger attractions. 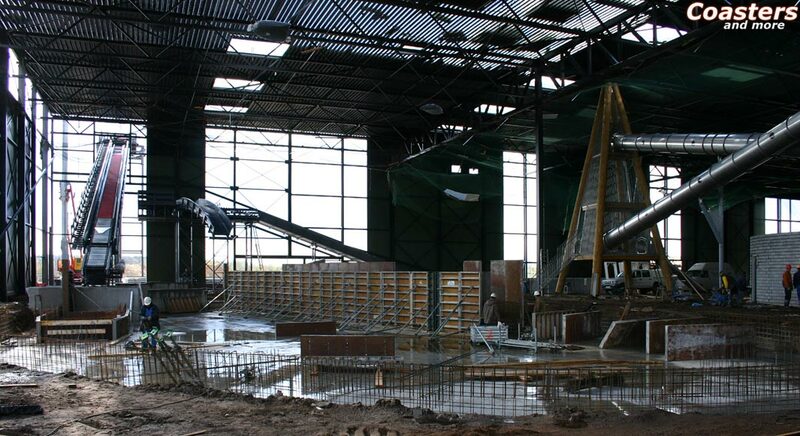 In spring 2001 Toverland opened as a pure indoor park, but now this expansion marks the beginning of the way towards a 40 hectares large amusement resort during the next couple of years. After the "Echanted Land" the "Magic Forest" will open in July - for 365 days a year. 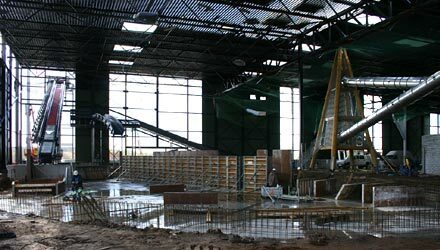 The second indoor hall, with a size of around one and a half soccer fields, will offer an adventure playground for the small visitors as well as a log flume made by Mack from southern Germany and a bobkart ride made by Wiegand. The water ride attraction will feature two drops, a backwards section and three rotating platforms. The smaller drop will be negotiated backwards, the final drop with a height of 15 meters will be placed outdoors. Ascent and descent will be attached to a huge magical tree. The indoor part will be integrated into a rock massif; gigantic trees, climbing towers harmonically fitting into the forest concept, slides and suspension bridges as well as smaller rides will complete the scenery. 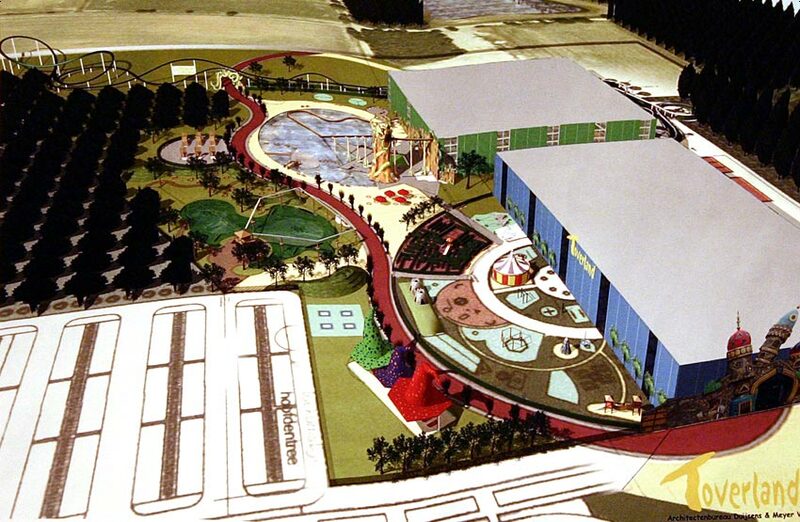 Even a fun house, dubbed Villa Fiasko, will be added. 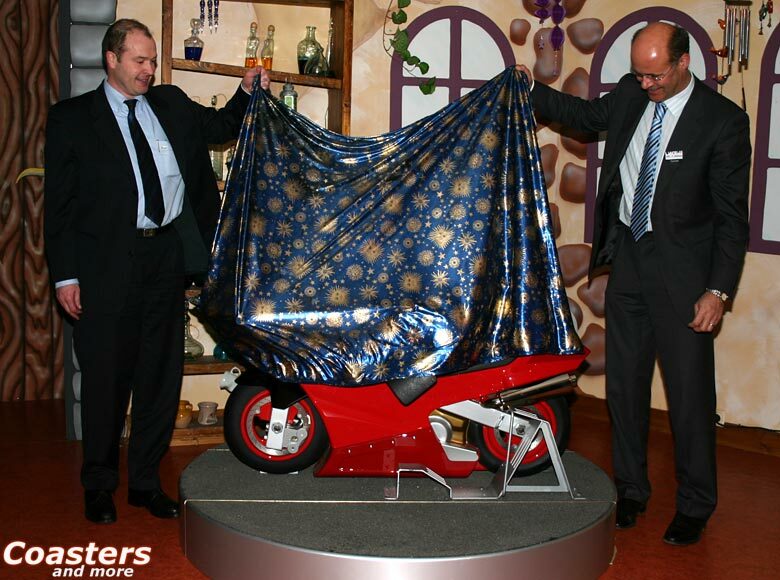 The largest and most surprising highlight will surely be the Motorbike Coaster made by Vekoma Rides Manufacturing, a concept that was presented to the public for the first time at the IAAPA in 2003, the largest trade show for leisure technology worldwide. "Our Motorbike Coaster is a modern homage to the steeplechase rides", Peter van Bilsen from the Dutch manufacturer Vekoma tells us. In 1897 the first horse race course of this kind was opened in Coney Island/New York. At that time two horse imitations made of wood held a neck-and-neck race on two parallel steel tracks. The steeplechases were very popular because the weight of the two riders of each horse decided about the outcome of the race and every run was a new challenge. Further copies followed, one of them in 1976 at Knott's Berry Farm in California. This variant was built by Arrow Development and offered motorbikes (!) instead instead of horses. Four years later those bikes were replaced by soapboxes. The Soap Box Derby was operated for another 15 years, then it wase replaced by a rather unsuccessful Racing Looper from Japan. The second delivery of this ride opened in Europe, more precisely at Blackpool Pleasure Beach where it caters for some hot races on a three-laned course until today. Two persons per horse sit firmly in the saddle, draw in the reins and negotiate the curves with a maximum speed of 30 kilometers per hour. The visitor won't experience a race at Toverland, but this world's first will offer plenty of fun and thrill anyway: A catapult start launches the train consisting of eight carts to 75 kilometers per hour, camelbacks will provide lots of airtime, steep turns and directional changes will offer pure race feeling. 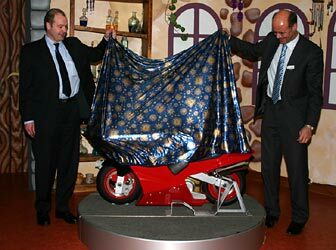 The Booster Bike, as the 590 meters long roller coaster will be called, will be completely installed outside. A main street will form the connection between the two indoor areas and lead along the log flume, a survival course and some water games. 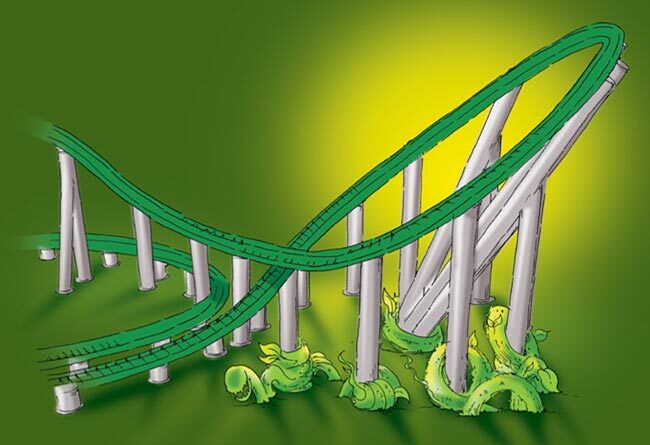 At its end will be placed the station of the coaster that shines in a friendly green like the rest of the ride. 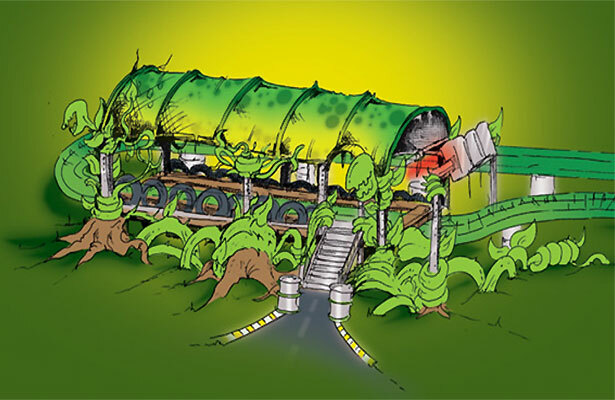 Zork, a new character, will be integrated into the theming of the coaster and decorate the futuristic Booster carts as the main motif. Responsible for the artistic design of the coaster and the Magic Forest is the German illustrator Arndt Grutke. Later, when the vegetation will have had time to grow, the lengthy lindworm will run through a natural ambience of dense trees. Even the station will be twined by tendrils. The layout is very clearly arranged and only the midle part shows some curve combinations. 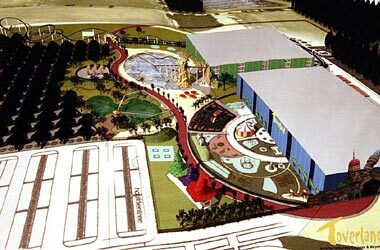 The horizontal launch and two camelbacks are parallel to each other and lead along the building housing the new Magic Forest to a figure-eight part with steep turns and a horseshoe element. 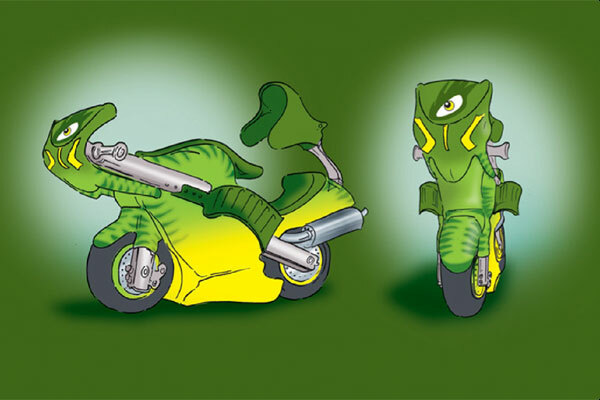 The green track on grey supports will have a maximum height of only 15 meters, but the Booster Bike lives on daring curve combinations and camelbacks negotiated at high speeds. The lateral banking will be more than 90 degrees at some points, and in combination with the new seating position the riders will experience a first class feeling of speed. The heart of this high speed roller coaster is the catapult launch. This is the first time Vekoma Rides Manufacturing uses this hydraulic system that is successfully employed by the parent company Huisman-Itrec at offshore installations. For example, the highly dynamic hydro engine is used at cranes mounted on ships that go into action at the construction of pipelines. The hydraulic engines counteract the movement of the sea and stabilize the load. 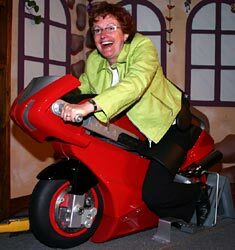 Only minor modifications had to be made in order to employ the system for the Booster Bike. It launches the train to 75 kilometers per hour in only 2.8 seconds using a winch. The acceleration along the driving direction will be around 0.7g. The construction and production process will take only half a year. A new type of track was developed and the train including the chassis has also been completely redesigned. Realizing such a project in such a short time demands for a clever planning management. Up to 30 engineers of Vekoma and Huisman-Itrec have been involved in the process and still are. Works on the foundations will start in one and a half weeks, the catapult launch is supposed to be ready for test runs in two months and the opening is planned for July 3rd - a very tight schedule. Caroline Maessen, director of Toverland, is certain of the success of the high tech novelty: "The opening of Magic Forest is the second phase of our gigantic masterplan. Toverland was opened in 2001 and we had almost 800.000 visitors since then. With this expansion we will mainly appeal to a younger audience. Our building project including the bobkarts and the log flume has been settled for quite a while, but we absolutely wanted to present a thrill attraction for our open air area. 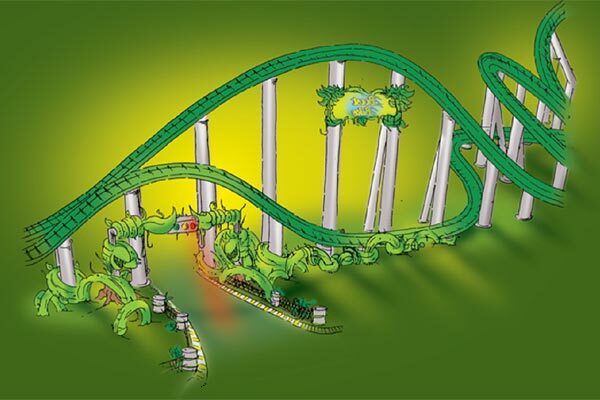 At the IAAPA last year in Orlando we found what we were looking for at Vekoma, the company that already built our first roller coaster. 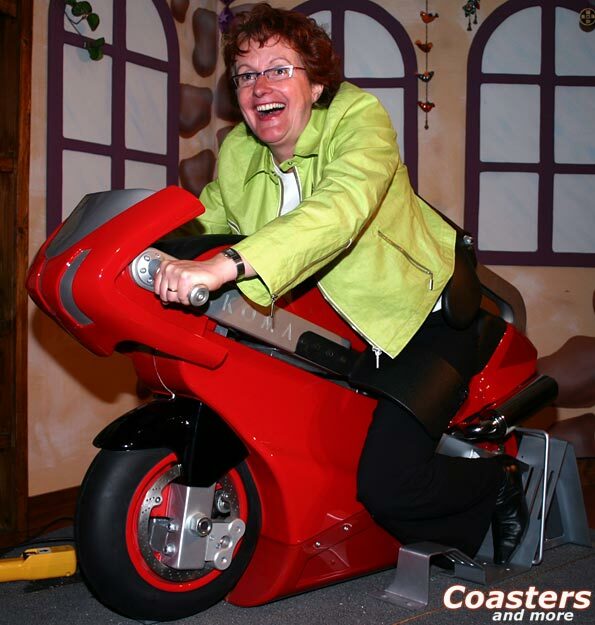 The motorbike coaster is a unique ride that perfectly fits into our concept."